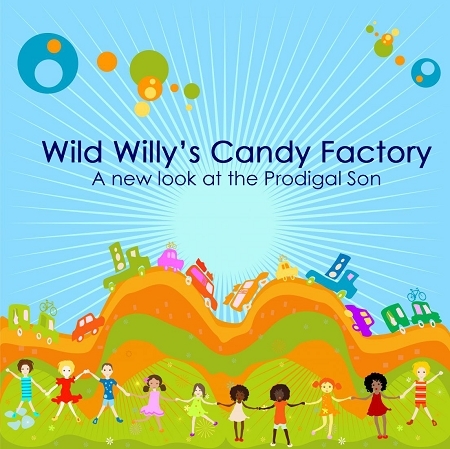 Wild Willy's Candy Factory: A New Look at the Prodigal Son is based on Charlie and the Chocolate Factory, a children's book by Roald Dahl, published in 1964. This resource was originally conceived as a five-week series to be used in a mid-week program for children during Lent, but it can be adapted to other formats and uses, such as Sunday School or VBS. Wild Willy's Candy Factory uses clips from the 1971 movie Willy Wonka and the Chocolate Factory starring Gene Wilder as Willy Wonka. The 2005 version (Charlie and the Chocolate Factory) starring Johnny Depp as Wonka, can also be used with adjustments to clip times, etc. In the original design, the entire film was not shown, but if you need to add a week or if you want a family and/or intergenerational piece added, you could do a showing of the entire film.